I really want this watch. 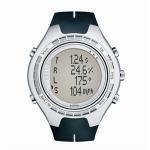 I'm not a gadget guy, and I don't wear a watch, but I really want this watch. 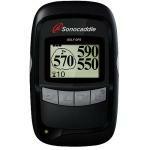 Here's another GPS golf device. I tell you what -- between our cell phones, our iPods, our Blackberrys and now our golf GPS, we're just going to be a species of people walking around with our heads down punching buttons and living in the Matrix. Here's a pretty fancy rangefinder. Unless you're a tour caddie, I'm not sure I can see dropping this kind of scratch on a rangefinder. This guy is slick though. I doubt you're going to find a nicer one. Here's another rangefinder that can tell you how far away that plane is that is flying overhead. The Opti-Logic Pinpoint GL Laser Range Finder has a range of 1000 yards to a reflector and 800 yards reflector-less. I've reviewed a number of these rangefinders, but this one has to be the biggest and "baddest" of the bunch. 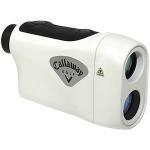 The Bushnell Golf Pinseeker 1500 Tournament Edition Laser Rangefinder has a range of 1500 yards, accurate to the yard.